I am looking at a photo of Vollis Simpson, born 1919. He stands straight and tall in his yard, one hand resting on an enormous whirligig, the other on his hip. On his slim body he wears a plaid shirt tucked into jeans which are belted around what looks like a 33-inch waist. A baseball hat is pulled on his head. There is no waste on this man. Simpson, of Lucama, N.C., built his first whirligig to power a washing machine while stationed in Saipan, in the Mariana Islands, during World War II. After the War his continued interest in wind power promoted his building several other large windmills, one of which powered a heating system in his house. Simpson has made his living repairing machinery and designing and building equipment with which to move houses from one location to another. What is a whirligig? A whirligig is akin to a windmill. The minimum requirement for a whirligig is that it must revolve uselessly in the wind. The criteria for an "outsider art" windmill is that it must be made of used pieces of equipment, put together in some unique composition. The assemblage must catch the wind in such a way that it will cause the parts to move and produce sound. For Vollis Simpson, the structures may be covered with reflectors, as are the trees surrounding them, that they may be seen at night as well as in the day. Some of the things one can recognize as part of a whirligig are scaffolding, bicycle wheels, highway reflectors, model airplanes, multiple propellers, gigantic poles, street signs and even a revolving plumbing vent. A whirligig can have cutouts of people in carts pulled by animals whose parts move when the wind catches them. It can have airplanes that soar, or giant pinwheels or cylinders that rotate. It can produce groaning noises or sounds like giant wind chimes. Sometime in May 1996, Vollis Simpson, the champion of whirligigs and windmills, will travel to Atlanta, Ga., to set up the thousands of pounds of components that comprise the 40-feet tall windmills he's been commissioned to build for display at the Olympics. I wanted to speak with him before he left, so I phoned to ask a few questions. Q: Does your building of whirligigs have anything to do with making use of abandoned industrial products? A: All the time I was collecting [these metal parts] I was getting ideas about how to use them. I thought I was going to make something nobody ever seen like it. Q: When did you begin building whirligigs? Q: How long does it take to assemble them once you've collected all the parts? A: It's impossible to say. Each one is different. A small gig often takes as much time as a large one. They don't always turn out right and when that happens you have to start from scratch. Q: Does the entire structure have to be assembled, then broken down before the individual parts are weatherproofed and painted? A: Yep! If you paint the parts first, you always have to do it over once they're assembled, so it don't pay to paint 'em first. Q: How did you get your knowledge of how to balance your creations, and how to catch the wind? A: In 1952 I started a machine repair shop with three men, and for 30 years we worked on all kinds of farm and tobacco machinery. We even built our own parts - worked on every kind of machinery: truck bodies, tobacco trucks, and you name it. I also had a house-moving business. I learned a lot about balance and adapting machinery in all those years. Q: What is the paint process? How many coats of paint? How do you prepare the parts for painting? A: Each piece must be cleaned, primed and painted with two or three coats of anti-rust paint. Just received the paint for Atlanta. Whew! It's expensive! Q: How did the Olympic Committee happen to see your whirligigs, and how did they propose that you make some for the Olympics? A: In 1987 I brought four pieces to the Atlanta Georgia Pacific Museum [the High Museum of Art], and they accepted them. I have two pieces in the museum in Raleigh, N.C. [North Carolina Museum of Art], and my latest piece is in the American Visionary [Art] Museum in Harbor Place in Baltimore - right between the buildings. So you see, my pieces have been around, and you know how word gets around. Q: Will the windmills be assembled in the Olympic Village? Where will they be displayed? A: The four pieces for Atlanta - a man sawing, a man on a unicycle, a water-pumper and a duck - will be placed right in downtown Atlanta near the big buildings, the last underpass/overpass before the business district. Q: How will you get your displays to Atlanta? Q: How do you feel about your whirligigs being called art? A: Oh, I don't know - I feel 'wore out.' I've enjoyed making all the pieces and puttin' them together, but I probably should have started a little earlier in life. Time is running out. Vollis Simpson is a man whose quest is to capture in the wind's moving force a thing of beauty, by means of dozens of propellers, producing haunting sounds. It is one man's act of chivalry to fight against the cast-off products of industry. Unlike the Don Quixote of Cervantes, whose windmills were the imaginary enemy, Vollis Simpson is in love with the way the captured wind provokes into action the hand-fashioned windmills he builds to decorate his property. Don Quixote's windmills of the mind are Simpson's quite real visual treats of color, motion and sound. On to the Olympics, Vollis! 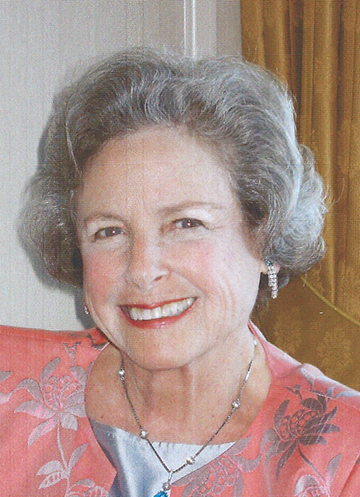 JANE M. JOEL is a free-lance writer in Richmond, Va.